As the frontline members of the health care team, nurses save and improve lives by assessment, caring for, and monitoring patients to determine and provide the help needed to preserve health. Nurses’ role in healthcare is wide and varied, but they must collaborate with other professionals to bring relief to patients. 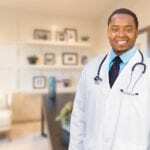 They coordinate care delivery with physicians, physicians’ assistants, nurse practitioners and other health care professionals and determine whether the treatment plan is a success. One of a nurse’s most important roles is an advocate for patients’ health. They communicate with doctors, patients’ families, and pharmacists on behalf of their patients. As an advocate, they ensure patients receive quality care. They are the physician’s eyes and ears and recommend alternative care plans when there’s no improvement in the patient’s health. Generally speaking, nurses record patients’ medical histories and symptoms, establish plans of care, observe patients and record findings, administer medications, assist with diagnostic tests, and educate patients and their families on health promotion and disease prevention. However, specific duties will depend on the nurse’s credentials. 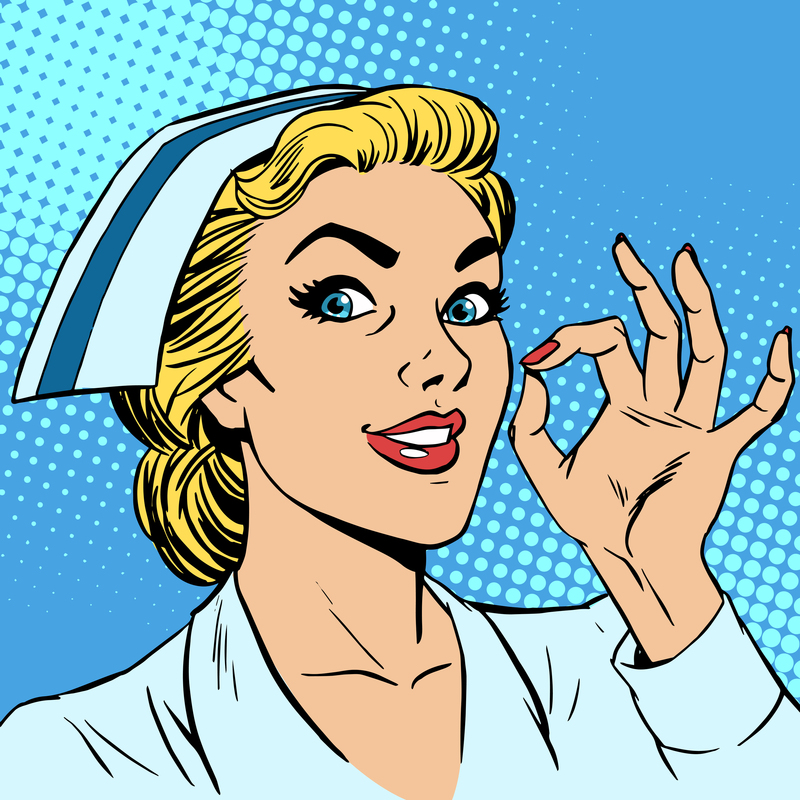 The term registered nurse covers a large umbrella of duties and specialties that an individual can assume. For example, hospice nurses work with patients who are nearing the end of their lives and provide dignity in death through the use of pain medication or caring for them at home where they’re able to spend meaningful time with family members. Hospital nurses help patients adapt on their road to recovery. They also plan patients’ discharge and ensure they have all they need to rehabilitate when they leave the hospital. Community nurses educate patients, families, and communities to prevent common health problems through education. The associate degree nursing (ADN) program is the most common credential for entry-level nurses. Due to an on going shortage of nurses, ADN graduates have been successful in finding jobs in almost every setting. However, the trend among hospital employers is to hire more nurses who have completed the bachelor’s degree in nursing. The good news is that there are many other work environments that are just as rewarding as a hospital or clinic. Some of the lesser-known workplaces for nurses include schools, patients’ homes, long-term care facilities, and correctional facilities. The ADN program provides the educational opportunities for adults to start a rewarding career in the field of health. Graduates receive an associate of applied science degree and are eligible to take the NCLEX for licensure as a registered nurse and practice according to the State of Mississippi Law. The Mississippi State Board of Nursing may, at its discretion, deny a licensure request from any person who has been convicted of a felony or misdemeanor or has charges pending on such issues. Much of the program’s instructional hours are conducted in local clinical facilities where students assist patients under the supervision of a qualified instructor. Both the theory and clinical instruction prepare students to function as entry-level caregivers. In addition to general education and science courses, students must complete core nursing course and accompanying practical in sequential order. The ADN degree typically requires completion of 70 to 75 credits. Course topics may include but are not limited to fundamentals of nursing, dosage calculations for nurses, anatomy and physiology, general psychology, medical surgical nursing, human growth and development, women’s health and newborn nursing, mental health nursing, nursing care of children, and microbiology. The competent nature of admissions to nursing programs requires that you meet the minimum admission requirements to be considered. Admissions might be based on ACT scores, entrance test scores, GPA scores, health care work experience, references, and performance on general education courses. Meeting the minimum requirements does not guarantee admission to the program, so it is important to develop a plan that will improve your chances of acceptance. Attend a student orientation once accepted to the program. The general course of study for the ADN degree is two years but may be extended over a period of time. However, there may be a stipulated timeframe for completing the nursing courses based on the initial admission to the program. The average cost of tuition for Mississippi residents enrolled in a community college is $1650 per semester. For a more accurate cost, check the school’s catalog or application packet. In addition to the cost of tuition, students must budget for books, uniforms, equipment, health requirements, and malpractice insurance. Students will also have to assume the cost for transport to the clinical site, criminal background check, and fingerprinting. Practice as a registered nurse in Mississippi requires an active license from the Mississippi State Board of Nursing. Mississippi is a member of the Nurse Licensure Compact. Therefore, anyone applying for licensure must declare a primary state of residence. If you hold an active, unencumbered license from another NLC state, you may practice without additional licensure from the Board. If your primary state of residence is another compact state, you must apply for licensure in that state. 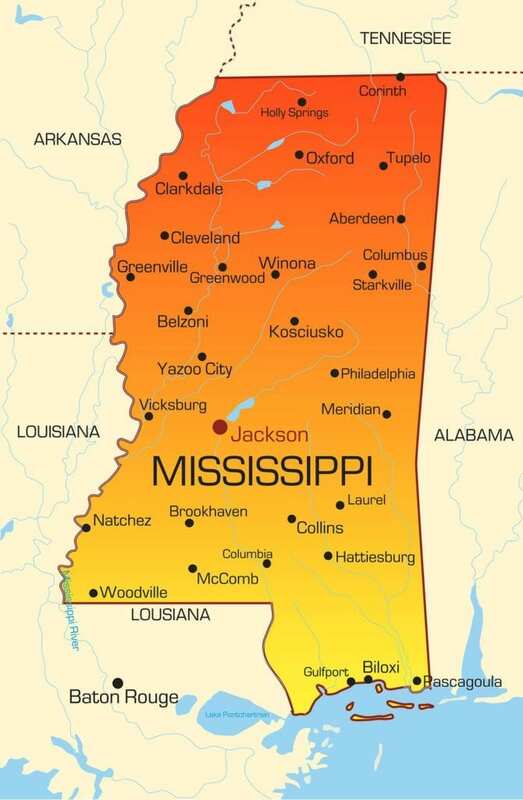 Residents of a non-compact state will receive a single-state license that will be valid for practice in Mississippi only. A criminal background check, conducted by the MSBN, is required for licensure. Instructions for completing the CBC are included below. A candidate for RN licensure by exam is one who has completed an undergraduate nursing program. Complete the following steps to apply for the NCLEX-RN licensing exam. Applications must be completed online using the Nurse Gateway. If you’re using the gateway for the first time, you’ll need to register a username and password before you begin the application process. Submit a completed application for Licensure by Exam to the Board of Nursing. This first step is essential to register for a Criminal Background Check. Submit the application fee of $100 online using a credit or debit card. Submit an official transcript of your nursing education. The transcript must be submitted directly from the school of nursing to the Board and include your graduation date and degree conferred. Visit vue.com/nclex to register for the NCLEX Exam. Register for a CBC through Student Status Inquiry. Wait at least 7 to 10 business days for the application to the Board to be uploaded before registering for a CBC. Note: You must indicate your primary state of residence on the application. If your primary state of residence is a member of the Nurse Licensure Compact (NLC), you’ll need to apply for licensure in that state. If your primary residence is a non-compact state, you may apply for licensure in Mississippi but you’ll receive a single state license. After completing the steps above, the Board of Nursing will make you eligible to take the NCLEX. Pearson Vue will send you the Authorization to Test (ATT) via mail or email. Use the ATT letter to schedule an appointment to take the NCLEX Exam. The letter must also be presented at the test center to be admitted to the exam. You will not be admitted without the ATT. If you pass the exam, your license information will be available through the Board’s Online License Verification – approximately 5 to 7 business days after the results are released. The Board does not issue wallet cards. If you fail the exam, you’ll receive notification in writing – approximately 5 to 7 business days after the exam. Mississippi State allows candidates up to 6 chances within two years of graduation to pass the NCLEX. You must wait at least 46 days to retake the exam. Disclose information such as felony of misdemeanour convictions or any pending charges from a board of nursing or law enforcement agency. All convictions must be divulged to avoid delays in processing your application. Submit a completed licensure application to the Board’s office before registering for a Criminal Background Check (CBC). Wait at least 7 to 10 business days for the information to be uploaded to the Student Status Inquiry. Complete the Student CBC Registration a minimum of 48 hours before a member of the Board’s office conducts an onsite campus visit. As a school administrator for the exact date when MSBN will be available for onsite fingerprinting. Use your exact name – just as you used on the licensure exam form. Present relevant legal documentation if your name changes. Pay the $75 CBC fee using a credit card or debit card. Out-of-state candidates must contact the Board for fingerprinting instructions. You may be required to submit additional information to the Board if there are disqualifying events in your past. Licensure by endorsement is available for candidates who have passed the NCLEX and hold an active license to practice as a registered nurse from a state that is not a member of the NLC. If you hold a multi-state NLC license, apply for licensure by endorsement only if you plan to make Mississippi your primary state of residence. Submit your completed, notarized application completed for Licensure by Endorsement. Pay the application fee of $100 using a check or money order. Include your phone number and social security number on your payment. Application fees are non-refundable. Attach a 2 x 2 photograph, using transparent tape, to the application. Indicate your primary state of residence. You do not need to apply for endorsement if your primary state of residence is a member of the NLC. If you plan to declare Mississippi as your primary state, you may apply for endorsement. Visit nursys.com to complete verification of your original license. If the licensing state is not listed on Nursys, you must complete verification using a notarized verification form. The licensing state must confirm your status by mailing the completed form directly to the MSBN. Request official transcripts of your basic nursing education to be sent to the Board’s office directly from the nursing school. International application must submit evidence of nursing education and credential evaluation by the Commission on Graduates of Foreign Nursing Schools. The CGFNS must send an original report directly to the Board of Nursing. International applications must have a social security number. Submit a completed and notarized Authorization to Release Information form with the application. RNs holding an active license to practice from an NLC member state may practice in Mississippi without a license from the MSBN. Endorsement candidates may apply for a temporary permit. The 90-day permit is made available upon request, allowing the candidate to work while the endorsement is in process. Select the temporary permit on the application and pay an additional $25 with your application. The permit is not renewable. To qualify for the permit, you must attach a copy of your active RN license – clearly indicating the expiration date – to the application. The Board will not issue a permit of you do not provide proof of current licensure in another state. If you graduated from a nursing school outside the United States, you must verify your nursing education through the Commission on Graduates of Foreign Nursing Schools (CGFNS). The program must meet the Board’s qualification requirements. Follow the guidelines provided to verify that your education meets the Board’s standards. Request an original copy of a CGFNS report to be sent directly to the Board of Nursing. Copies will not be accepted. If you graduated from an English-speaking program, request a CES Professional report. If you graduated from a non-English speaking program, request a CP report. All applications remain valid for one year from the date submitted. If you do not schedule and take your exam or complete your application within that period of time, you must submit a new application, fee, and supporting documents. The MSBN requires nursing graduates to take the NCLEX a maximum of six times within two years of graduation. The renewal period for registered nurses in Mississippi is October 1 to December 31 of even-numbered years. Initiate renewal online through the Nursing Gateway. Pay the appropriate renewal fee using a credit or debit card. Active – $100. Inactive – $25. Include an additional payment of $25 if you’re requesting a name change. Include a copy of your marriage certificate, divorce decree, or other legal document. Your license will become invalid, and a penalty will be assessed if you do not renew your license by the December 31 expiration date. Notify the Board in writing if you do not wish to renew your RN license. There are no mandated continuing education requirements for RNs to renew or reinstate a license according to Mississippi Nursing Practice Law. The MSBN does not enforce competency requirements, but every nurse has the option ensure continued competency in line with his/her field of practice. If you have not practiced as a registered nurse within a 5-year period following the application for licensure ore renewal, you must submit evidence of continuing basic nursing competencies to the Board. Hospitals across Mississippi face a challenge of recruiting and retaining nurses. The vacancy rate for hospitals is 8.7% statewide – a rate that has barely gone down in the last five years. The Mississippi Hospital Association identifies that recruiting is especially difficult in medical surgical units, critical care, emergency rooms, and labor and delivery. Jackson and other cities in Northwest Mississippi are the hardest hit areas. As hospitals use aggressive methods to recruit nurses, newcomers to the profession can take comfort that they’ll find a job after graduating. Many hospitals are working directly with nursing programs to increase interest in the profession and directly recruit new graduates. Both experienced and new nurse graduates are benefiting higher compensation, flexible scheduling, retention bonuses, sign-on bonuses and other attractive incentives. Since associate degree in nursing students can graduate within two years of enrolment, they provide temporary relief to the nursing shortage. The steady stream of graduates each year take up positions in hospitals and medical setting and bring relief to the problem of insufficient care providers at the bedside. According to the United States Bureau of Labor Statistics, there are 28,5920 nurses with active licenses in Mississippi. The problem is that the number of them that are actively practicing is way less. A decline in the number of graduates who actually take the NCLEX is another challenge to the profession. Like the aging baby boomer population, nurses in Mississippi are approaching retirement. As the older ones leave, healthcare employers will have a challenge of finding replacements. Nationwide, there is a predicted shortage of 15% in number of nurses needed in the US healthcare system between 2016 and 2026. The employment change is expected to be 437,000 according to the BLS. The annual mean wage for registered nurses in Mississippi was $57,010 in 2016.